Has anyone ever sat down and wondered at their old photos? It’s my lovely little sister’s sixteenth birthday today, and so we’re sat around, looking at photos from when we were both just tiny tots. And it’s hilarious. I was a victim of the perpetual bad hair day, and my sister just looked like a thug, with the biggest baby head I have ever seen. She also had an adorable little top-knot. It made her look a little bit like a teletubby. Does anyone remember tellytubbies? I used to quite like them. I also quite enjoy looking at what your parents used to look like, twenty years ago before your teenager strops and tantrums turned them grey, or bald, or thin, or fat. It’s even more strange to look at them in long-forgotten holiday photos, before you were born, when your Mum was still blonde, and your Dad carried a slightly more svelte figure than you’ve ever seen. It’s really, really weird when you realise your mother was the dead spit of you, and therefore you catch something of a glimpse at what you will look like in middle-age. I always think the phrase ‘middle age’ has slightly negative connotations. The Middle Ages, in Britain at least, were dark, and smelly, on the whole. Technology hadn’t begun to advance, and people had come to something of an intellectual standstill. Illness was rife, death was more common than a bucket of sewage on the head, and to add to this predicament, religious order was still a serious issue. As in, well, there wasn’t one. I think I’ve found the reason why nobody likes to be referred to as middle-aged. And then there’s the problem of after middle-age. Old. Elderly. An older person. Nobody would ever want to be referred to as old, and I can imagine being unbelievably irritated if somebody had referred to me as old, even if I was about ninety-six years old. Anyway, I have to go, and carry on my excursion down memory lane. I apologise for my collection of thoughts on age; I’ve never known what it’s like to be old, but I suppose one day, it’ll creep right up on me. 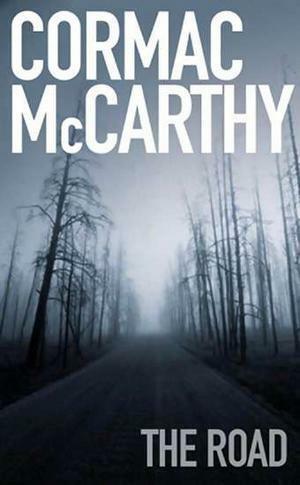 Last night, I sat down, and decided to read my novel for next week; the novel in question being Cormac McCarthy’s The Road. The novel focuses on a destroyed America; a world in which commercial values and commodities have been completely destroyed, and the only living people left are either ‘the good guys’ or ‘the bad guys’. The two groups are defined; society has been reduced, in the wake of this destruction, to being composed of binary opposites; good and bad, dead or alive, starving or not. The world of binary opposites is something proposed in Saussure’s Course in General Linguistics. Binary opposites exist to define the world in relation to what it is not; something that is essential in McCarthy’s The Road. The child is a haunting reminder of the innocence of childhood, and the ways in which it can be affected by the nature vs. nurture environment, and is a striking example of how environment is paramount to the development of a person. The way in which America, or the developed world is portrayed here takes us back to an almost prehistoric sense of existence. The scavenging and hiding that occurs is almost animalistic, and the country seems to reduce its inhabitants to little more than dogs, in the ways in which they try to survive. Hiding, and seeking refuge, is a part of human nature, or of the fight or flight response. This is not however limited to humans alone; animals often confront their attackers in the same way as the man in the novel, who shoots the person holding his little boy hostage. The division between being a human and being an animal is made by way of the fact that the man remembers his wife, and the birth of his child; his ultimate role in the novel is to keep the boy safe, to protect him from harm. The harm that befalls him is primarily psychological, and represents how parents, with all the love in the world, cannot always protect their children from the world outside; this idea is not just limited to burned out pieces of America, or a world in which law has been removed; it is present throughout real life too, and the novel highlights rather acutely, how experiences befall people and how they cannot always be protected from these experiences. The issue of paternal love then, is very prevalent throughout the novel; there is nothing the father won’t do for the child, and rather disturbingly, he has had to teach the child how to use the pistol, a symbol that runs through the novel, to commit suicide in an emergency. Self destruction is constantly debated through the novel, and the man himself often meditates on the benefits of suicide; his goal is to reach the coast, however the reasoning behind it isn’t made particularly clear; what lies ahead of them seems to be endless foraging, scavenging, seeking survival; however in such a desolate landscape, the reader simply wants to ask, “but why?”. This term as far as novels go, has been far more rewarding than the last. I’m a huge fan of postmodern literature, and the development of modern literature often grabs my attention to a much greater extent than classical literature. The novel itself is terrifying and extremely sad; it makes a person question how they would survive under such a hostile environment. I recommend reading it, if you have an evening devoid of entertainment, especially because it’s thought-provoking, and asks questions that focus very much around the environmental crisis, and the nature of human survival in the wake of an apocalypse.